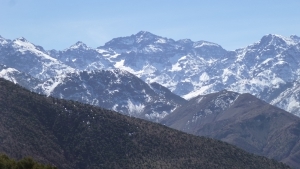 For those wishing to experience the challenge of standing on the roof of North Africa, and gazing out to the Sahara Desert from above 4,000m, we offer a two-day guided programme to walk up Mount Toubkal. 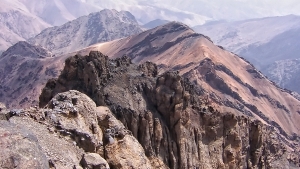 It is a strenuous trek but presents no technical difficulty during the Summer months. The sense of achievement is well worth the effort and the return to the comforts of Kasbah Angour, at the end of day 2, very welcome. 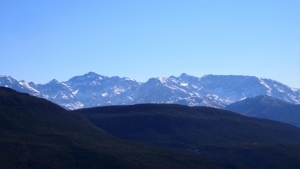 We also offer this programme as part of a 7 day stay at Kasbah Angour. 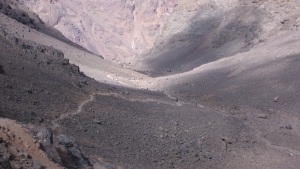 See Walking including Toubkal. 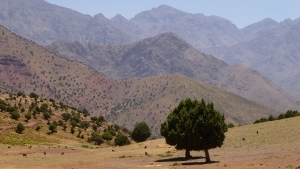 We leave Kasbah Angour in the morning by car for Douar Imlil (45 minutes). 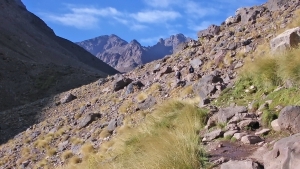 From Imlil we climb to the basecamp for Mount Toubkal at 3,200m, where we spend the night in Les Mouflons refuge. The refuge has accommodation with ensuite hot shower for a supplement. 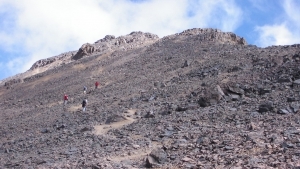 In the early morning we climb to the summit of Mount Toubkal (4,167m). 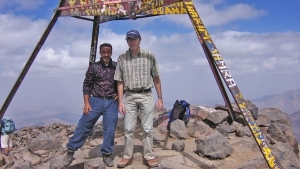 After having celebrated the conquest of the highest mountain in North Africa, we descend to the refuge and continue to Imlil where a car is waiting to take us back to Kasbah Angour.